NeoProteomics was started by a biophysicist who had focused on proteomics through much of his career. 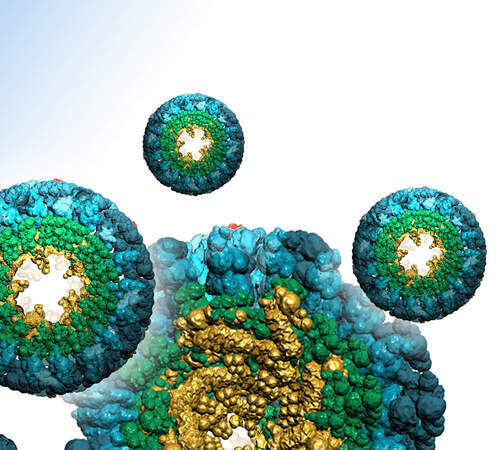 Proteomics is the large scale study of the structures and functions of proteins in humans that has shown promise in leading to breakthroughs in human disease detection. His company was formed on the heels of The Human Genome Project, which had been a catalyst for the multi-billion-dollar US biotechnology industry and fostered the development of new medical applications, including diagnosing and predicting disease. Neoproteomics provides research services and tools that help clients unravel the complexities of pharmaceutical and biological research. Their focus was on accelerating the process of drug and diagnostics development by providing innovative analysis tools, allowing their clients to achieve biological understanding of their genomics and proteomics data at the systems level. They came to us looking for a company to partner with on improving their core software product by moving to cloud computing architecture as well as adding a unique data visualization toolset for this domain. 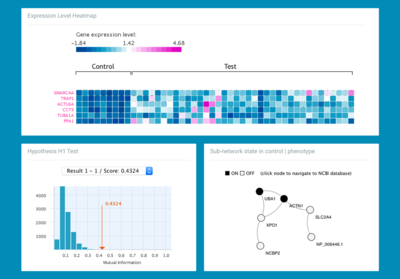 The data visualization and data exploration biology tools of this product serve to help identify diagnostics in human disease, especially cancer. We optimized the computation of Neoproteomic’s platform and created custom data visualizations for their desktop Java application. The data visualizations enabled Neoproteomics to visualize the results of each of their biomarker experiments - tests that help to drive the discovery of significant markers of disease. These markers can be used to identify novel pathways and new drug targets, stratify patient populations and more importantly, better predict the most effective therapeutic response. The collection of data visualizations were consolidated into a single dashboard, enabling scientists to more effectively analyze and compare the results of their algorithms during their discovery process. For the core analysis engine, we assisted the move to cloud computing and providing architectural guidance on ways to efficiently manage distributed computation jobs. Neoproteomics needed to partner with a company that had both the technical know-how as well as the ability to grasp the scientific concepts that are central to their product and business. We were able to successfully assess and develop new features and solutions to help them expand their product offering. Freeport Metrics was able to provide a reliable and professional team for our projects, and they quickly grasped the scientific concepts that are part of our core algorithms. They have proven to be valuable partner.